We’ve talked a lot about productivity over the past few weeks. We’ve considered ways to boost motivation, and strategies to get in the zone. We’ve explored 25 ways to increase productivity, and learned how to strengthen our mental clarity and improve our concentration. 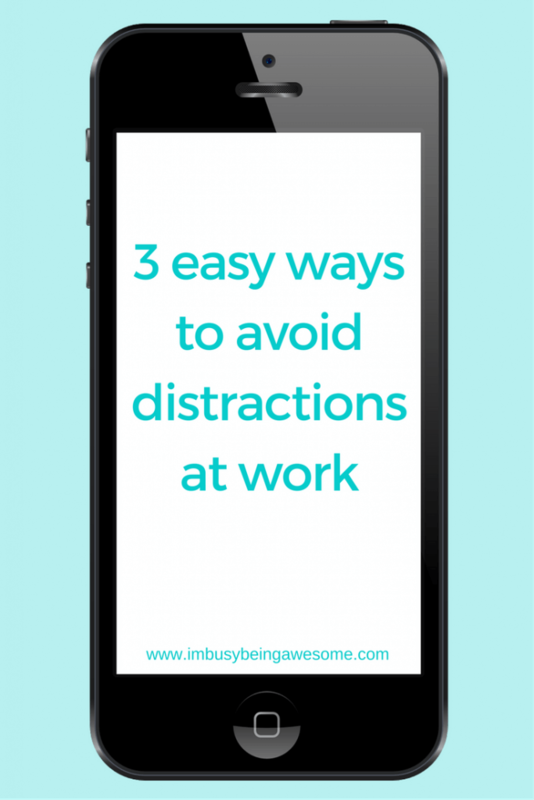 Well today we’ll approach this productivity series from a slightly different angle by considering 3 leading distractions that get in the way of our work. 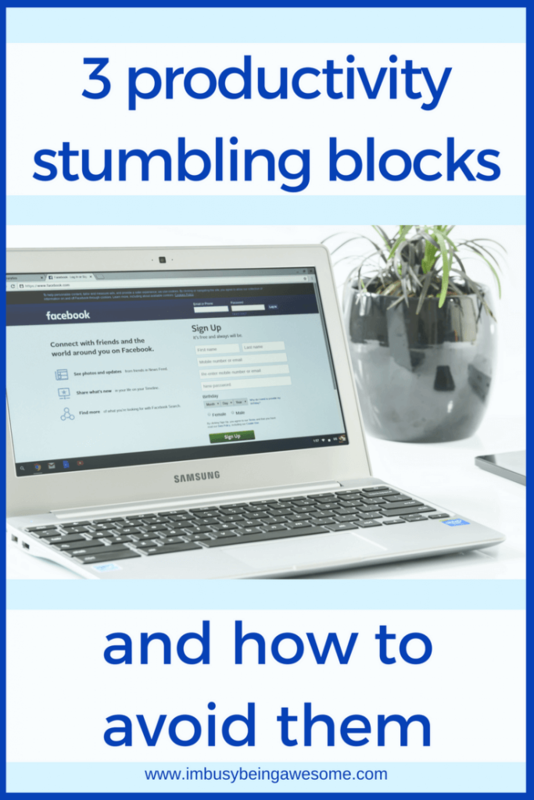 So let’s dive into simple, actionable strategies that help us avoid these stumbling blocks and get stuff done now. Hmmm What’s Happening On Facebook? Like it or not, social media is no longer just for connecting with friends. Additionally, it now has a regular (and expected) role in the workplace. For business owners, employees, entrepreneurs, and bloggers, social media is a great way to build interest in their brand or company. 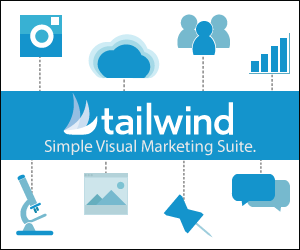 What’s more, because most people use some form of social media each day, it’s also useful tool to quickly reach a wide audience. Does this ring any bells? I know I’ve been there; it’s amazing how fast time trickles away when you fall down the hole of social media. Fortunately, there are a couple different ways to combat these distractions. One of the most effective suggestions for those using social media for work, is to have separate accounts for your business and personal life. And I don’t mean your personal account has ownership of your business page. I mean literally create a new account, so you have to sign out and sign in each time you switch from one to the other. Additionally, when your accounts are joined, all of your friends and personal interests show up in your business feed. When you’re trying to do a quick post for your company, this can be quite distracting. By keeping your business and personal accounts separate, you minimize that stumbling block significantly. Alternatively, there are social media schedulers, which allow you to schedule posts ahead of time. With this approach, you plan posts for your different platforms at the beginning of the week, and then let the scheduler do the rest. In other words, it’s a “set it and forget it” method, which allows you to focus on the important stuff throughout the week. For those of us who don’t use social media for work, but still get distracted by it throughout day, fear not. There are strategies for you, too! Perhaps most drastically, you might consider deleting the social media apps from your phone. According to a recent study, about 66% of social media browsing is done on our phones, while only 21% occurs on the traditional desktop. By deleting the convenience of simply tapping an app, you’re sidestepping those stumbling blocks with ease. If you’re not ready to take the plunge of deleting your apps, you might simply consider turning off notifications. And I recommend doing this for both your phone and your desktop. Each ping, vibrate, pop-up, and banner, causes us to break our focus. When these alerts happen consistently throughout the day, our productivity plummets and we’re simply wasting time. By silencing these alerts and one checking these sites at specific times of the day (more on that below), you avoid that constant distraction. 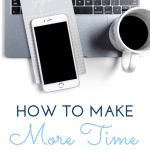 Another useful strategy is setting aside a specific time to use social media. If you’re promoting your business, for example, perhaps set aside 30 minutes in the morning and again in the afternoon to reach your different platforms. Other than those times, social media is off limits. You can take a similar approach with your personal accounts. Try limiting your use to a few brief breaks throughout the day. Or, you might use social media as a reward for after you’ve accomplished your tasks. 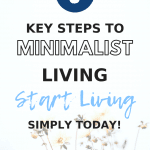 By taking this approach, you’re setting reasonable boundaries that allow you to focus on your work, while still giving yourself a break every once in a while. The main challenge with this method is simply making sure you get back to work. In fact, I recommend setting an alarm on your phone to ensure you don’t lose track of time. 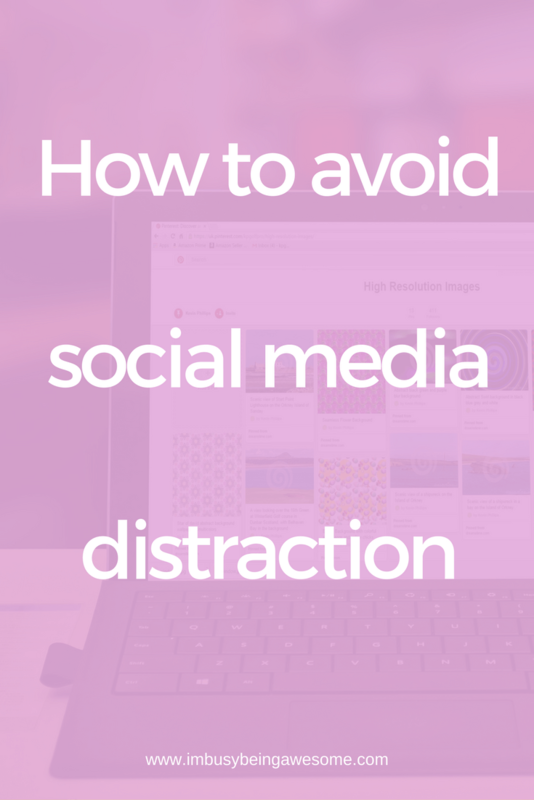 Whether it’s Deadline, Pinterest, Etsy, or the NY Times, when it comes to distraction, favorite websites are just as dangerous as social media. One harmless click can turn into an hour of reading stories and watching videos. Obviously, this is not an ideal situation during the workday. Fortunately, there is an easy solution: the brilliant website blocker. There are many different blocker options out there, but the idea is essentially the same for all of them. You pinpoint your favorite (read, distracting) websites. Then, you add them to a website blocker, which prevents you from opening them all together. When you can’t open the page, you can’t get distracted. It’s as simple as that! And don’t worry, you can turn the feature on and off according to your schedule, so you’re not permanently blocked from those treasured sites ;-). I’ve got to tell you, the site blocker strategy has been a real game changer for me. Before I learned about this option, I often caught myself clicking back and forth between “work” sites and “distraction” sites; it’s amazing how much time I wasted doing this. I would keep several pages open in different tabs across the top of my browser, and without even thinking about it, I would waste time paging from one site to another. Now that I’ve blocked those distracting sites, however, this mindless paging simply isn’t an option. And it’s AMAZING how much of a productivity boost that provides. Wow, I need to do something about those floors…NOW. When I’m avoiding work (either inadvertently or not), I am willing to do pretty much anything other than the intended task at hand. Vacuum the floors? Sure! Mow the lawn? Bring it on! Clean the bathroom? Okay! True story… Our house was built in 1897, and I’ll just say that the wood floors are very well loved. During one of my “must avoid work” extravaganzas, I decided I should start researching the process of sanding and refinishing floors. (I really didn’t want to work that day…) I got all the way to sander rental before I finally climbed out of the rabbit hole. Can you relate? 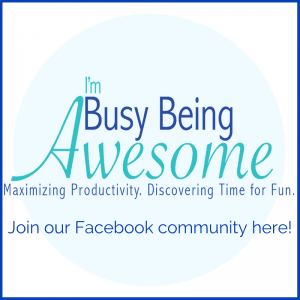 Do you ever avoid the big projects by tackling smaller tasks instead? Hopefully I’m not alone here. This is a very tricky stumbling block for me to maneuver. In fact, it’s probably the most difficult. And truth be told, I still get stuck by it sometimes. Nevertheless, I have found a strategy that has made a big difference for me. And the best part is, it’s incredibly simple. 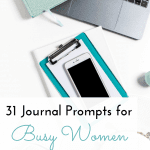 What I do is designate a specific time each week – whether it’s an entire day, or a few hours – to accomplish those “extra tasks” that distract me throughout the workday. Most often I reserve 5-6 hours from Saturday morning after my gym class until 1-2 in the afternoon as my “get stuff done” time. This way, when I get the urge to clean, organize, grocery shop, or refinish the floors throughout the week, I simply add it to my Saturday list and get back to work. So whether your primary stumbling block is social media, interesting websites, or alternative projects, don’t stress. There are strategies to avoid these distractions and keep focused on the important stuff. After all, the faster you get your work done, the sooner you can search foodgawker for the perfect cheesecake recipe. 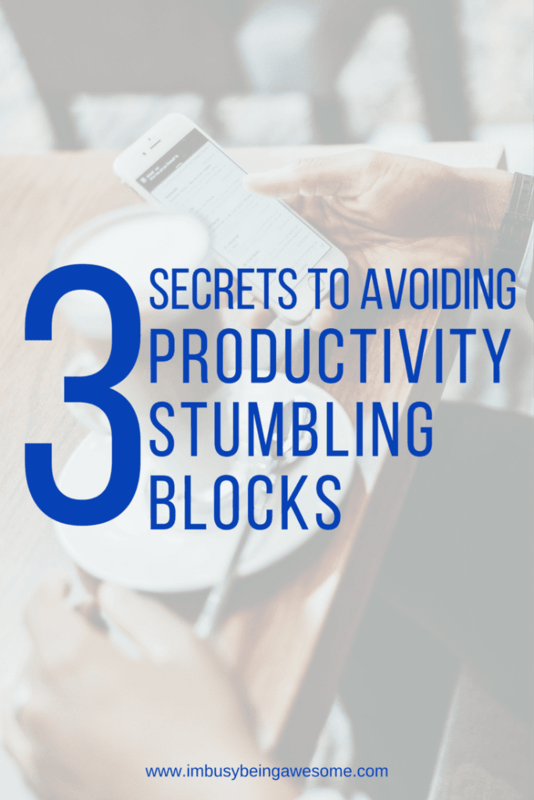 What is your productivity stumbling block? 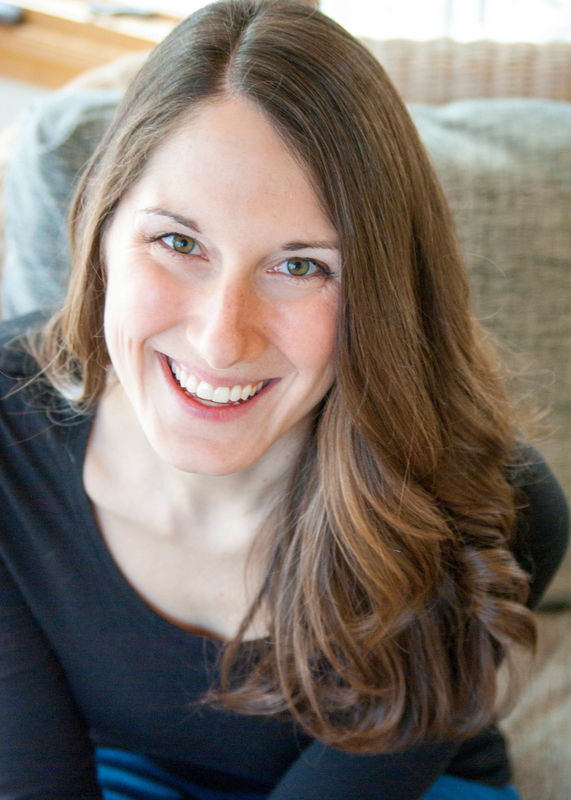 Do you have any strategies for avoiding the allure of social media? Do you use social media for work? Let me know below! Thank you! I’ve found it to be incredibly helpful. So true! I find I always get sucked into social media and Iose focus on the project I’m working on. These are great suggestions, thanks for sharing! Yes! Instagram is a very tricky one. It’s crazy how easy it is to get sucked in. That’s a GREAT suggestion – thank you! That vibrate can be incredibly distracting.